AMACO® (F) LEAD FREE glazes were created in 1950 as America's first all Lead Free glaze series . They are semi-opaque and fire with a high gloss. Colors are more intense and brilliant than those of many other glazes. They are recommended for dinnerware as well as all types of pottery made from AMACO® pottery clays. 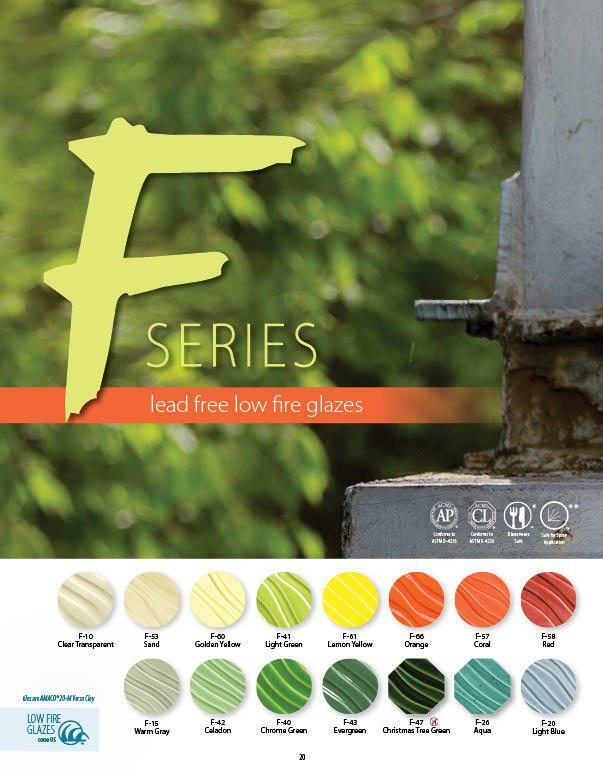 Here is a downloadable PDF of the F-Series page from the 2015 glaze brochure.